Registering a company in Vietnam can be a different experience for a foreign entrepreneur. While the opportunities for companies based in Vietnam are compelling, the company registration process is more complex and bureaucratic than the USA, Australia and Singapore, for example. Steady improvements are being made to processing times for applications to register a new company in Vietnam. Nonetheless, there is some work to prepare for the formation of a foreign-owned company. This article provides an overview. A registered company is key for your startup to enter into contracts, employ staff and collect revenues in Vietnam. A foreign-owned Limited Liability Company (LLC) is the most common company structure for foreign-owned startups in Vietnam. For this type of company, you’ll go through a two stage process. You’ll need approval from the Department of Planning and Investment (typically in the form of an Investment Registration Certificate, IRC) for your project in Vietnam, and then an Enterprise Registration Certificate (ERC) for the creation of your company. The official timelines are about 45 days for the completion of these stages but preparation is key. Vietnam’s accession to the WTO required that the nation opened its economy to foreign investment in a wide range of business lines. The majority of tech startups will target ‘software development’ or ‘consulting’ business lines. Applications for these business lines are relatively straight-forward. However, some business lines remain restricted to foreigners in Vietnam (for example, real estate and finance). Some of these other fields remain subject to case-by-case review or conditional approvals (eg. trading), caps on foreign ownership (eg. tourism) or require licenses and/or sub-licenses (eg. F&B). Vietnam requires you to prove you’re serious about your business. While there isn’t a strict law on what represents the minimum capital, approval from the Department of Planning and Investment will only be issued with proof of sufficient capital for your nominated business line. This capital must be deposited soon after creating the company. You will need to nominate the owners of the business and verify their credentials. Note that the supporting documents required for a foreign owner that is a company are different to those documents required if the foreign owner is an individual. You might be tempted to form a Vietnamese-owned company to avoid some of these hassles, but remember that this incurs some risks and will complicate the payment of any dividends to foreigners. The management structure underneath this may vary depending on how many owners your company will have. You may also need to think about a Controller and Chairman at this stage. Physical proof of your company’s planned location in Vietnam is key to your application. This can present a chicken-and-egg argument, as you will need to be incorporated before you can sign a lease, and you can’t incorporate until you have a signed lease. An MOU with your intended address may suffice, but there are other practical solutions to this issue. The completion of steps 1-4 should provide a clear list of requirements and related documents that will need to be included in your application. The Vietnamese Government is very supportive of foreign investment and application processing times are improving. 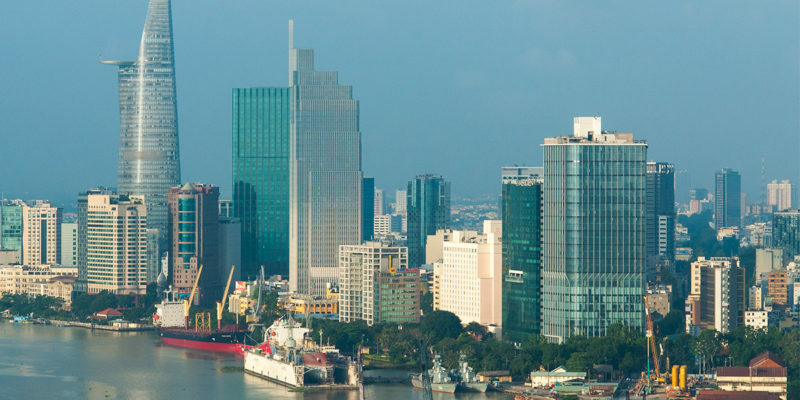 Read on for more detailed information on the establishment of companies in Vietnam. There are many other options when it comes to creating a company in Vietnam, including various company structures (such as a Joint Stock Company), ownership types and activity codes.